Jon Foo är en skådespelare. Han föddes i London, England den 30 oktober 1982. 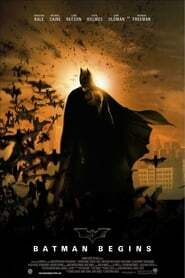 Han är känd för bland annat Batman begins (2005), Batman begins (2005), TEKKEN (2010), Vikingdom (2013) och The Protector (2005). Huvudbild: Jon Foo. Foto via The Movie Database. Född 1982-10-30 (36 år sedan) i London, England. Vad du tycker om Jon Foo? Starta en diskussion om Jon Foo med dina vänner på Facebook eller Twitter! He was born in London to a Chinese father from Singapore, and an Irish mother from England, which is also where he grew up. His siblings include a little sister and two half-sisters from his father's side. His family constantly relocated as he grew up. His father practices karate and his mother practices judo. 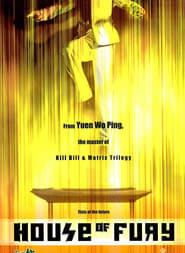 He started learning kung fu when he was eight years old but he began serious training for wushu when he was 15. He currently lives in Los Angeles Being a practitioner of Wushu, he has starred in Tom-Yum-Goong (US title: The Protector), Batman Begins, House of Fury, Left for Dead, and Life (Shi cha qi xiao shi). He also does stunts for other actors. He is best known for recently playing the role of Jin Kazama in the 2010 live action movie movie Tekken released in 2010. He also received a role as Ryu in the short film Street Fighter: Legacy. He also starred in Universal Soldier: Regeneration (2010) as one of the first generation soldiers. He is also set to appear in a Thai martial arts-basketball film Fireball Begins, which is a prequel to the first film, Fireball.